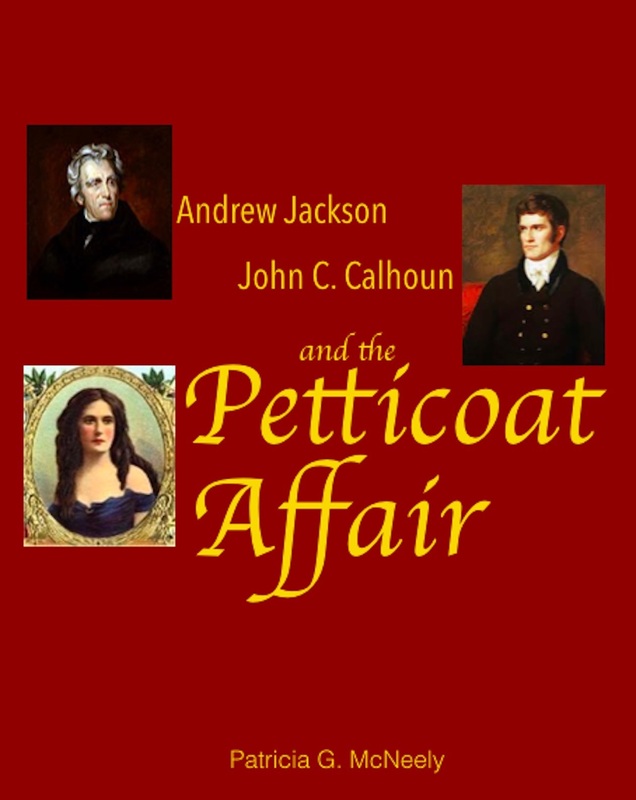 Join us from noon to 1:00 p.m. on Thursday, July 19, 2018, for this month's author talk and book signing: Andrew Jackson, John C. Calhoun and the Petticoat Affair by Pat McNeely. The political battle over Peggy Eaton’s virtue caused President Andrew Jackson to dissolve his cabinet and cost Vice President John C. Calhoun the presidency. The scandal and government upheaval caused by the beautiful widow who married Jackson’s Secretary of War made national headlines well into the 20th Century.